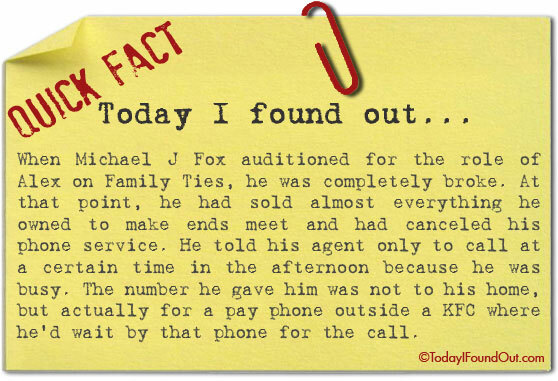 When Michael J Fox auditioned for the role of Alex on Family Ties, he was completely broke. At that point, he had sold almost everything her owned to make ends meet and had canceled his phone service. He told his agent only to call at a certain time in the afternoon because he was busy. The number he gave him was not to his home, but actually for a pay phone outside a KFC where he’d wait by that phone for the call.